Is your business suffering from poor conversion rates that you know should be higher, but you just don’t know what to do about it? Have you considered e-mail marketing? It’s a very common medium of online communication, but a lot of businesses have yet to take advantage of this low cost and effective marketing channel. Some studies have shown that you are extremely unlikely to get a customer to buy something on their first visit to your website. In fact, it may take as many as 9 visits before they take out their bank card and actually buy something. This is why email marketing can increase conversions, because it allows for repeat communication with the customer. All you need to do is capture their e-mail and you have the access to advertise your services to them many times over. You may be thinking, “but why does it take so many visit for a transaction?”. It’s a good question and there are a number of reasons such as too many distractions on the website or something happened offline which meant the computer needed to be turned off. Basically the quicker you capture your customer’s email the better it will be for your business. The best marketing channels are the ones where you can build a relationship with your customers. Because once they trust you they will be more willing to buy from you and the conversions go up. You may be wondering how the process of relationship building actually works. Well, it’s really simple. You give them a bunch of very interesting and useful information upfront for free. This can be in the form of an e-book or video series. As you might have guessed e-mail marketing allows for this type of communication to occur. Additionally, you may utilize e-mail marketing software to see what e-mail titles are working and which videos are getting viewed the most. This will allow you to further increase the effectiveness of your marketing campaign and as a result your conversions will increase. 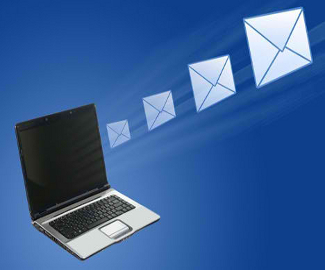 These days e-mail marketing software can record a whole bunch of useful data. It’s only a matter of looking at the number and optimizing the campaign. About the author: Sophia Myles is an email marketing specialist from Comm100 Email Marketing, who loves to discover, learn and share everything about Email Marketing with the world. I couldn’t use my credit card on sunday and I called and the bank told me that they detected fraud on my card. Is it possible for me to get criminal charges on the person that did this to me? And how? And what will happen when they find out who did this? My grandmother had her bank card used by someone else, and the police said before they will do anything, we need to prove that the items weren’t shipped to us. So I went to Amazon, looked around some, and couldn’t find anything regarding this. As a result what can I do to prove that the items ordered ($5,000+ over the last three months) wasn’t done by us?